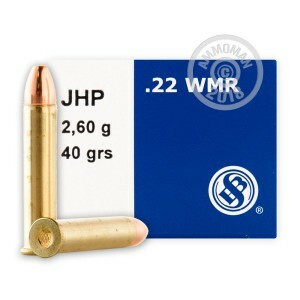 22 Magnum (22 WMR) ammo has become a favorite of varmint hunters all over the country. The 22 Magnum round is an elongated version of the 22LR, with the same size projectile. This means that the bullet has much high velocities; it is more accurate at longer ranges and more powerful at short range. 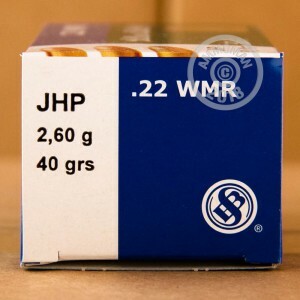 This 22 Magnum ammo from Sellier & Bellot has a 40 grain jacketed hollow point bullet. 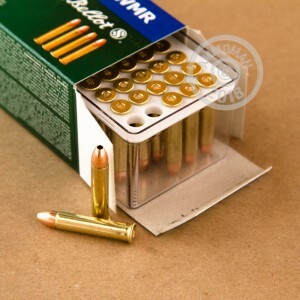 This ammo is great for range training, but will excel as a varmint hunting round. Order your ammo today and make short work of those critters.